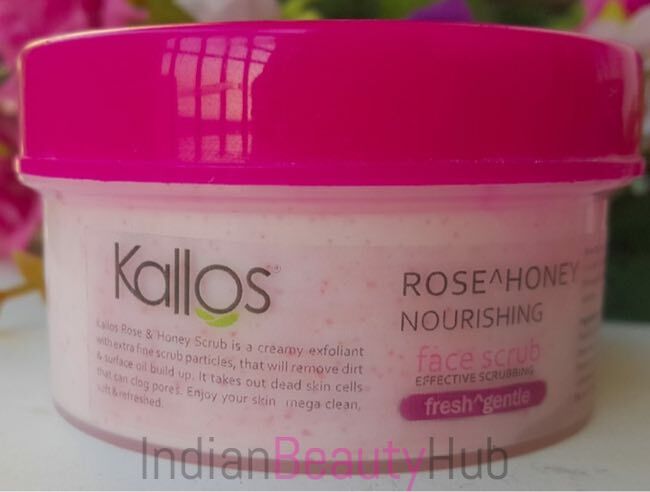 Hey everyone, today I’m reviewing the Kallos Rose & Honey Nourishing Face Scrub. Kallos beauty brand is launched by one of India’s leading food chain owners ‘Haldiram’. I tried a few of the Kallos skincare products in the past, you can read the reviews here. Packaging: Kallos Rose & Honey Nourishing Face Scrub comes in a pink plastic jar with a bright pink screw cap. The packaging is sturdy, compact and leakage proof. The product related important information is given on the jar. Texture & Fragrance: Kallos Rose & Honey Nourishing Face Scrub comes in a light pink color and it contains a load of bright pink scrubbing granules. 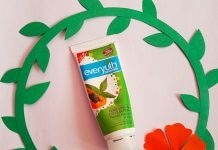 This cream-based facial scrub has an artificial floral fragrance which is not very pleasant. 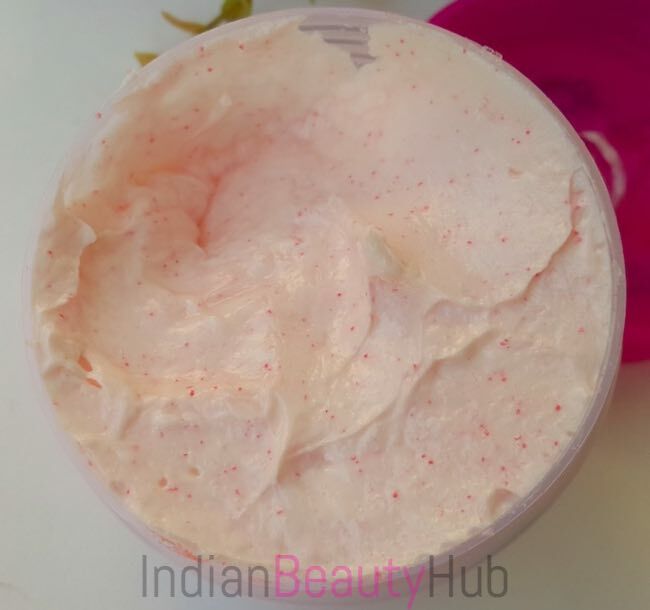 Price & Availability: The price of the Kallos Rose & Honey Nourishing Face Scrub is Rs.160 for 100g. You can buy Kallos products online from their official website Kallos.co.in. Cream-based face scrub that removes dead skin, whiteheads, and blackheads from the skin. 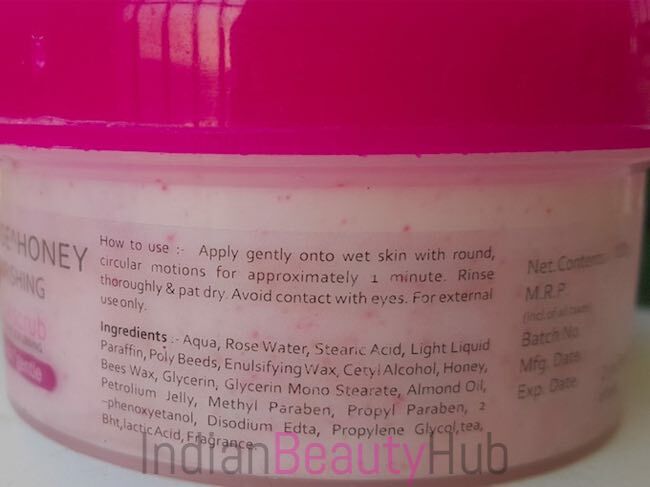 It leaves the skin clean and moisturised which makes it apt for people with normal to dry skin. It didn’t cause any breakout to my acne prone oily skin. 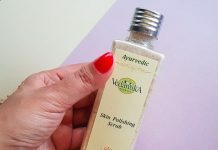 It imparts a healthy glow on the skin. Very affordable and the quantity provided for its price is pretty good. 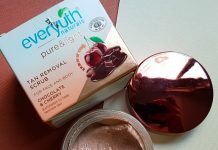 The scrubbing granules are quite harsh and they can irritate sensitive skin. Tub packaging is unhygienic to use. Not suitable for acne prone sensitive skin. It is unable to extract stubborn blackheads. Not very easily available at local beauty stores. Overall I found Kallos Rose & Honey Nourishing Face Scrub as an average product. It does it job nicely but there are so many similar products from the other brands that will work the same way. But still people with normal to dry skin can give this a try because of its moisturizing action.